Can a Calvinist Believe in an “Age of Accountability”? I grew up in a “traditional” Southern Baptist home, so the term “age of accountability” was heard a lot by me. The “age of accountability” is the age which one was ready to make a “decision” for Christ. One thing I’ve wrestled with as after having discovered reformed theology was this very issue. Is there an “age of accountability?” Would God send babies to hell, which had no knowledge of sin, and no chance for salvation? As a Calvinist I understand that God is sovereign, it is God that elects some to be saved according to His good pleasure. But does that some include unborn babies, or children that die very young? I understand that there is no one righteous, we are all born of man, and thusly we are all born under the curse of Adam; which is why Jesus was conceived by the Holy Spirit, because had he been born of man he would not then be without sin. I also understand that no one will be saved unless they repent of their sin and trust in Christ alone for the forgiveness of their sins. What, then, about babies who die in the womb, or are stillborn or die very young? What about those without the mental capabilities to trust in Christ? What about all those who have died that have never had a chance to hear the gospel? What about the millions who die in the genocide that is the abortion mills of these United States? I know we can go into Romans 9 here and say that God makes some for honorable use and some for dishonorable use. And that even if He did send babies to hell that it is in His good sovereignty to do so. And it is quite clear that God chooses whomever he wills, for whatever reasons He decides and that there is no injustice on God’s part. I know at least in part, what Jesus is saying here is that we must have that same kind of faith that a child puts in their parents for their own well-being, but over and over Jesus compares the His true followers to children. What is it about a child that is so great that Christ refers to His true followers as such? Children aren’t especially good at much. They aren’t especially smart or understand all the ins-and-outs of theology. They haven’t had many chances to pursue righteousness. In the Old Testament there are many instances of Job lamenting that he would have been better off to die in his mother’s womb. Jeremiah has a similar lament in Jeremiah 20. How can it be better off for one to die in the womb would that they instantly go to hell? It can’t, there is no way that it would be better to die then. It would be better to live so that at least we have a chance to repent and trust Christ. But Job and Jeremiah both say they would be better off to have died in the womb. The scriptures over and over say that it is God who knits us together in the womb…it is also then God who appoints unto us to be saved, to be His elect. I think we can make the case from scriptures like this that the idea of an “age of accountability” has some merit. I think that were it not an advantage to die young Job and Jeremiah never would have suggested as much. I think somehow, in His sovereignty God allows those babies, when they die to be protected from His wrath under the shed blood of Christ. 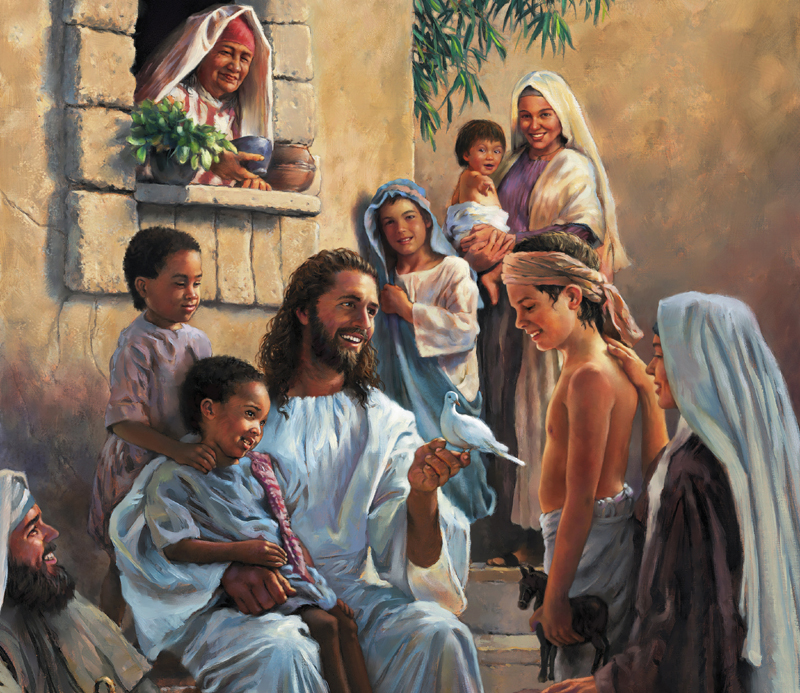 When babies and the very young die, they go straight into the arms of the Savior, for His pleasure and protection. Remember, it is also Romans 9 that says salvation depends not on human will or effort, but on God who has mercy. Grace is never something earned, otherwise it wouldn’t be grace. There is nothing about the gift of salvation that is anything short of amazing grace, and I think it’s safe to say, from scripture, that even unborn babies experience this grace, and that the very young are elected to salvation by a merciful Lord if it so happens that they die while very young. I believe we can assume from scriptures like the ones above, that unborn babies, infants and young children are in a state of grace, a grace period as it were, that changes when they reach a certain age, which is different for everyone, but a grace period wherein their sins, sins of omission on their part, aren’t counted against them, but are covered by the blood of the Lamb. So, even though it’s not specifically named in scripture, an age of accountability is an idea that can be drawn out of scripture, and it’s why it’s so important to have faith like a child. This entry was posted in Calvinism, Christianity, Jesus, scripture and tagged age of accountability, babies in hell, Bible, Calvinism, Christ, Christianity, church, churches, Doctrine, Faith, God, Gospel, Holy Bible, Jesus, Orthodoxy, Religion, Salvation, scripture, The Bible, The Holy Bible, theology, Word of God. Bookmark the permalink. Aside from what I brought up, I really liked the way you went about addressing a lot of the question. Great stuff! I’m so glad I found your blog. I look forward to following it. Thanks for your thoughts, and you’re right this is too small a space to discuss that here, plus I’m pretty sure the issue has been fought over for centuries, so it’s not like we’re going to solve it here. I’m glad you respectfully disagree and I welcome a discussion about it sometime. I have nothing to disagree with here. I presume this post is a response to the question, and not a ‘speech against’. Personally I have no problem with the idea of still born, or newly born babies, and possibly even young children being redeemed apart from knowledge of the Gospel. There is a point where logic and reason are bound to break down on this, and I am ok with that, I think there is a paradox here, one that doesn’t need to be solved. Good post… but lets be clear that this post only expands the gray area my post was meant to point out, it doesn’t narrow it. I’ve studied this subject in the past and I’ve never been able to definitively prove all babies are saved. However, like you’ve shown, there is plenty of evidence to support that idea. The beauty is that we can rest assure it is in God’s hand.